You are here: Home / Storage / EMC / EMC Releases VNXe Update with SRM, Writeable Snapshots, Encryption and More! EMC Releases VNXe Update with SRM, Writeable Snapshots, Encryption and More! EMC released VNXe Operating Environment MR4 (version 2.4.20932) on January 7th. The upgrade brings a few significant enhancements to the VNXe platform. Before I cover the new features, let’s have a quick look at the VNXe series for those not familiar with it. The EMC VNXe Series, a part of EMC’s VNX family, is an affordable unified storage platform designed for smaller businesses. 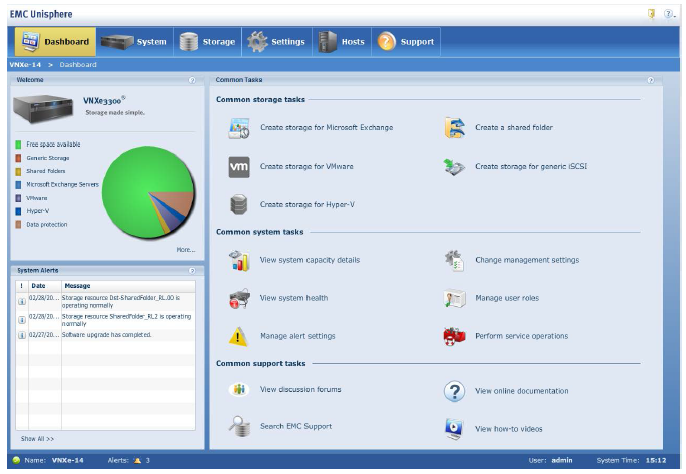 The unified platform provides both file and block services – iSCSI on block, and CIFS and NFS on file, with a nice base feature set including File Dedupe, Block Compression, Thin Provisioning, and Snapshots, all managed through a very easy to navigate, wizard-driven Unisphere management package. Additional software packs are available for the VNXe that enable remote replication, file-level retention, and application-aware replication. Host connectivity includes 1GbE and 10GbE. The VNXe series includes the VNXe 3150 model and the VNXe 3300. VNXe 3150 utilizes quad core CPUs and offers up to 25 2.5″ drives in the 2U rack mount form factor or up to 12 3.5″ drives in the 2U rack mount form factor. 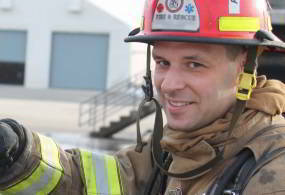 Both models support the SAS, Near-line SAS, and EFD drive technologies. The VNXe 3100 supports up to 100 drives on a dual Storage Processor (SP) configuration, up to 192TB of raw capacity. 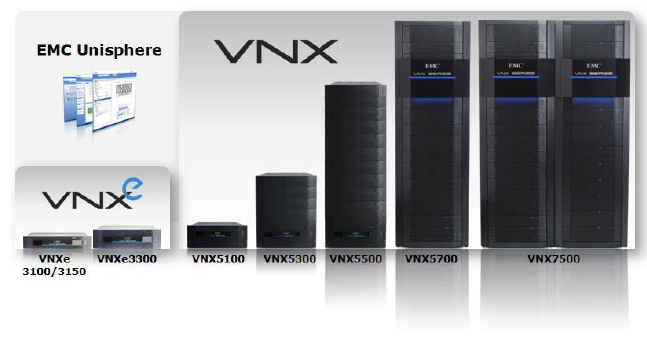 On VNXe 3300 systems, you can have up to 150 drives with a maximum raw capacity of 240TB. The VNXe is a good platform for smaller VMware environments, including remote/branch offices. VNXe is also great for Microsoft Exchange, Hyper-V, and SMB file share – all easily carved, configured, and presented to hosts using Unisphere wizards. The VNXe is also included in smaller configurations of the EMC VSPEX for VMware View 5.1 virtual desktops. With the 2.4.20932 (MR4) release of the VNXe OE code, the VNXe gains several new features. Let’s look at these new features and what they mean for VNXe customers. First is support for Self-Encrypting Drives (SEDs). A VNXe purchased with SEDs provides Data at Rest encryption of all data on the array. Encryption is transparent and automatic, with no noticeable performance impact. This is a great feature for environments where Data at Rest encryption is required, such as medical facilities with HIPAA/HITECH requirements, government environments, and financial institutions with PCI DSS requirements. Another great feature added in MR4 is support for Windows 8 / SMB 3.0. With SMB 3.0 support, the VNXe gains continuous availability for CIFS (multi-network path access, synchronous writes, transparent server failover, etc.) and CIFS encryption for data-in-flight between the array and host. SMB3.0 also provides support for larger IO sizes, offload copy, and parallel IO to improve performance and responsiveness to the user. A VNXe feature long desired by VMware shops is support for VMware Site Recovery Manager (SRM). MR4 introduces SRM support for VMware NFS datastores. A Storage Replication Adapter (SRA) is forthcoming, pending VMware certification testing. SRM support provides additional options for providing a highly available, disaster resistant VMware environment, and the VNXe becomes a great target for the SRM DR site. These new RAID configurations fit well into a single 12-disk DAE (with room for a hot spare in the new 10+1 RAID5 configuration). With larger RAID sets underlying VNXe Storage Pools there will be an increase in usable capacity, while delivering roughly the same performance. A larger RAID group may set you up for greater risk of data loss due to a higher likelihood of a dual-drive failure within a RAID group, so check with a qualified storage architect before you use the new configuration options. All in all, MR4 for the VNXe builds on a solid base to provide highly available, secure, and easily managed storage for a variety of workloads in smaller IT environments. If you have additional questions on the VNX family of storage, visit us here or give us a shout on Twitter @clearpathsg.